On my quest to stay away from the easy route in the morning, TOAST if I'm not eating eggs my go to breakfast is the trusty porridge. Iv found a gorgeous organic porridge in aldi + to top it off they are jumbo outs too. But unfortunately porridge in the morning can be uuber boring + end up looking like slime at the bottom of your bowl GROSS. So my mind started to wonder as I was feeding the young-uns this morning, I knew I was going to have porridge and that I didn't want to sprinkle sugar over the top because let's be honest that's just defeating the purpose of taking the porridge route!!!! 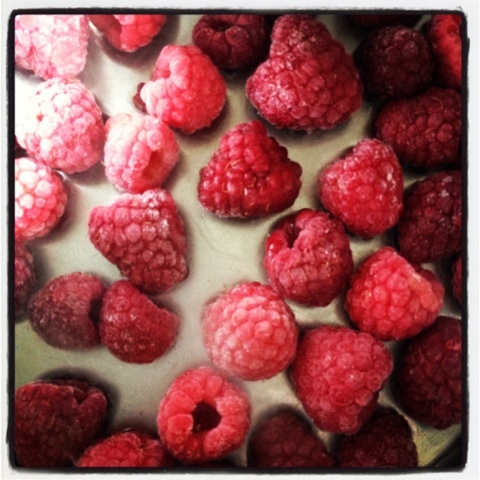 RASPBERRIES.... A warm raspberry compote swirled in my porridge eureka by god iv done hahaha. 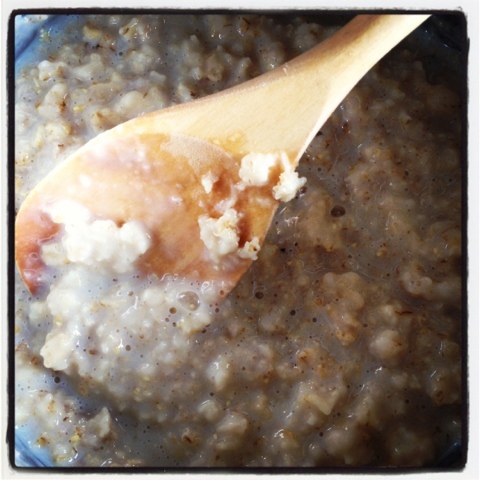 Firstly in a small pot add your porridge + water, put your timer on 6 minutes and let the porridge come to the boil. Once it has let it simmer for the remaining time. 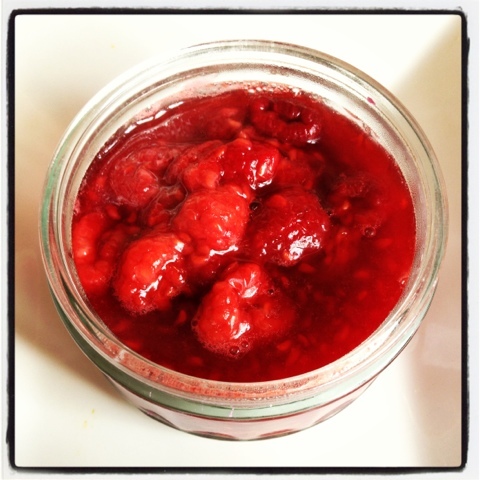 In another small pot add your raspberries + light brown sugar + enough water to barely coat the bottom of the pot. Bring your raspberries to the boil stirring all the while, you'll notice at this stage the raspberries are softening nicely and you have made a yummy syrup out of the teeny drop of water + the small sprinkle of brown sugar. If at all possible it's always best to use brown sugar instead of processed white sugar, your bodies a temple + all that!!! Beep beep beep there goes your timer. 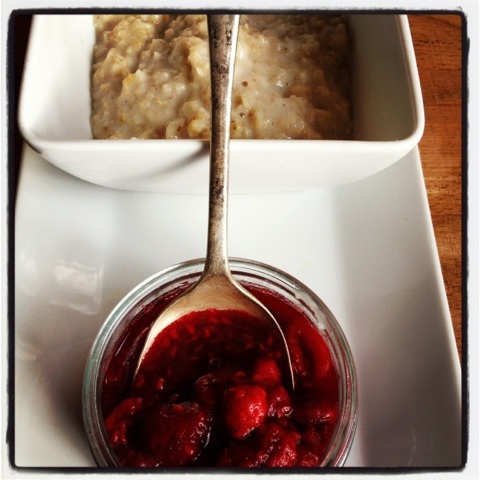 The porridge is perfectly cooked + your raspberry compote is cooked to perfection, all in 6 minutes.